We have the opportunity to spend Easter in Gettysburg this year, which is exciting for a number of reasons. One, BADGES…uh I mean… we are meeting up with my parents who are excellent fun, and two it means that I have been gifted the opportunity to construct HISTORIC EASTER BASKETS!! We celebrate Easter in a very secular, welcome to spring, chocolate bunny kind of way, complete with an egg hunt supplied by an imaginary rabbit. One year the bunny brought a basketful of geology kits and a rock hammer, sometimes nail polish chemistry kits. Last year he brought recorders for everyone (HUGE error in judgement), and a loom for one and wood burning kit for the other. Immediately my mind was racing with all the glorious things I could put in the baskets and I started researching and shopping. I divided my research into 3 categories; Candy, historic items/toys, and things small enough to put in eggs to hunt. My first purchase was Toob figures. If you have never purchased a Toob they are delightful scale figures with great detail and come in animals, mythologies and history themes and they come in cylindrical tube . I purchased a Union and Confederate set for Ranger who will enjoy setting them up. I chose them over the Army men style for the historic accuracy. I absolutely fell down a rabbit hole when looking at things for Lemon. Part of me wants to give them all the same stuff and the other part wants to be historically accurate and give one the historic girl things and the other two historic boy things. I went with the latter, because it’s historic AND Lemon would prefer that anyway. For Lemon I have a variety of solid perfumes that I am making her in adorable little tins in historic Civil War scents like Lavender and Lemon Verbena and a beautiful cameo. Researching Civil War scents and jewelry was pretty interesting, especially since cosmetics of the time were not something you would want to give a little girl. I am also sewing her a reticule because nothing says historic like carrying the right purse. She is crafty and loves to make things so she is also getting an embroidery kit and the materials to make a Church Doll with instructions. There are great historic toy kits I have seen and would have purchased had I been able to find them locally. Instead I found this link http://itssopurdy.blogspot.com/2012/10/how-to-civil-war-handkerchief-dolls.html, which has printable history and instructions, and I have all the materials except the handkerchiefs, so I printed them out and packaged the materials myself. Lemon turned out to be so easy that I was overdoing her basket. Ranger isn’t much for crafts so I decided to get him a book to go with his figures, and I have been toying with the idea of making him a canvas haversack to carry around. There are many Confederate style haversacks that are very easy to make at home, apparently Union haversacks were the Cadillac of shoulder bags made from tarred canvas with a removable muslin liner. I’m not making that (though I did read up on the DIY tarring process because I’m weak) and I am certainly not purchasing a re-creation one, because adult history toys are pricey. 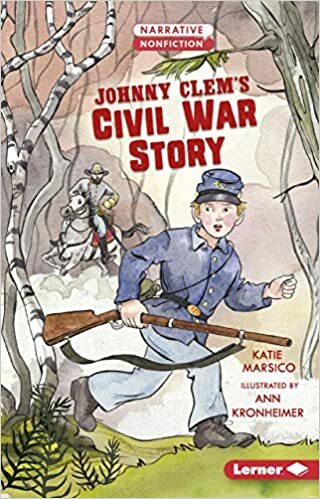 I also want to get him a novel and am considering Johnny Clem’s Civil War Story, because I think he will like the story and one of our lessons briefly touches on Johnny Clem. After considering a lot of things, including a hat, I decided to get him a pocket watch. It isn’t a super period one but it’s kind of neat looking and steampunk style with exposed gears, so that’s educational, right? Plus I kind of started feeling bad about the period candy I picked out and was trying to make up for it by giving him something he had asked for at one point. For Wild Thing, being only 2, I am going with a stuffed Union soldier toy, Union Kepi hat, and Dover little Sticker book called Billy the Union Soldier. I toy with the idea of a whistle or Harmonica and then I wonder why I hate myself, and how I could have learned nothing from last year’s recorders. Candy was the most fun to research and will be hands down the most disappointing thing on Easter Morning. Because by today’s Easter standards Civil War Candy is terrible. I started by acquiring bags of Horehound candy and Necco wafers, can you believe Necco wafers are that old? 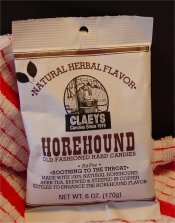 There are many sources to order period candies from, in fact there is a Confectionary shop in Harpers Ferry that you can order a bag of Civil War Candy complete with historic write up and chewing roots! Too bad I didn’t find it until after we came home…. Here is their website http://www.truetreatscandy.com/about/our-shop/ . Which was a good place to start research. I am still toying with ordering Gibralters, a period hard candy that came in chunks apparently considered a “Feminine” candy and Black Jack Sticks which were their manly counterpart, both available here https://www.oldepeppercandy.com/ . I plan to round out their candy haul with some maple candies and Jordan almonds, both of which are slightly more appealing to the modern kid palette, but still historic. The final and probably most difficult thing for me to track down was something to fill the eggs with, because it has to be small enough to fit in the eggs and inexpensive enough to fill a few dozen eggs. I ordered some replica paper currency, thinking I could roll the bills up in each egg, but now I’m having trouble taking them out of the crisp, orderly envelopes. My children seem to love currency as a learning tool so if I bring myself to getting it all out of order it will be a big hit. After searching for awhile I found a trove of Civil War bullets for sale on ebay, and I bought a handful in a lot so I could hide actual historic bullets in the eggs. This was oddly more cost effective than purchasing replica bullets. I have my eye on some historic buttons too, but I’m not sure if that would really add to their experience, lol, or if I’m just taking my theme to ridiculous lengths. Either way Egg hunting in our historic landmark hotel should be something to remember.